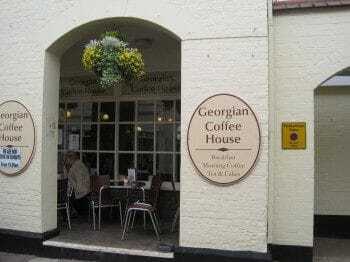 The Georgian Coffee House on the Thoroughfare, in the heart of Woodbridge. A traditional tea room, coffee house and restaurant serving breakfast, morning coffee, light lunches, afternoon tea and cakes. Quality in food, service and surroundings.